We will provide you with 2 hours of training on how to go about completing your project and what tools you should use to make the job easier. We will also provide hands on training regarding the best preparation techniques for your project, including how to protect items that you don't want to get paint on, proper ways to caulk, patch holes and the best ways to apply paints. Learn how to get those perfect straight lines. We'll have you painting like a pro! 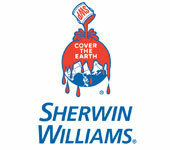 To top off the deal we will provide you with discounted pricing on Sherwin Williams products, as well as allow you to rent the specialty tools that you may need such as paint sprayers, ladders, hand maskers, drops, and top quality brushes and rollers at a better rate than the rental store. Why buy professional tools if you will only use them once? 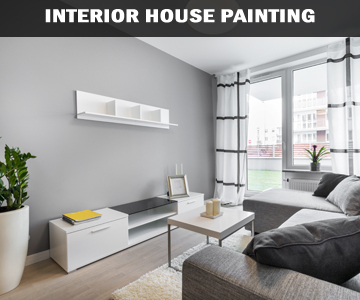 Call 720-495-3654 today to receive in home training from our top quality 5-star rated painters. We had a small window of time to paint our entire downstairs and part of upstairs before we moved in. Eric went above and beyond to get it done and be readily available. He was very thorough and professional. 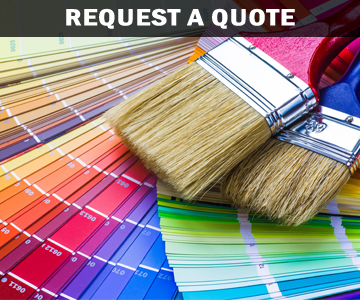 His prices were also the best, as we received quotes from several painting company's. We will definitely be using Aurora Painters for all of our future painting needs. Aurora Painters painted my condo - interior - bedroom and kitchen. I could not be happier with the results. Eric is a master painter with nearly 30 years experience. He uses high quality painting products and is very meticulous with his work. The lines are completely straight between the walls and ceiling which typically comes from years of experience. Not only is he an exceptional painter, he is really good with color selection. I had initially chosen some color for the bedroom and he would tell me his opinion on the color, light, etc. He did this with both the bedroom and the kitchen. I credit him for choosing the color and both rooms turned out amazing. I'd highly recommend Aurora Painters for your next project, no matter how big or small. The quality, the products used and the professional experience is top notch. 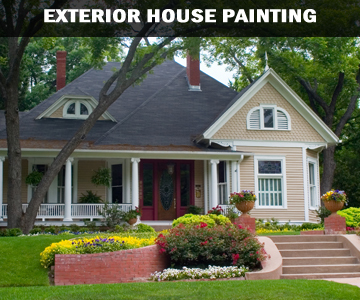 If you want cheap & lots of headaches, then go with a big company, but if you want a smooth process with exceptional results that only increase your home's value, then call Eric at Aurora Painters. Aurora painters did an excellent job painting the entire interior (including ceilings) of my house in Lowry! Straight lines and they were able to get it all done quickly so we could move in. I would highly recommend them! Eric is very professional and offers free touch up services after the job is complete. Eric came the same day for an estimate on a retail space. Very kind and professional. Thank you!! Professional, timely, responsive, neat and careful. Great work. Couldn't be more satisfied. Highest recommendation. Eric and his crew are awesome! Straightest paint line I have ever seen! I didn't expect the large job to be done so fast with exceptional quality! I highly recommend Eric and his crew to beautify your home - indoor or out!! Eric and his team respected my home from start to finish. Fantastic transformation of the interior from beige and wood to beautiful shades of grey. Highly recommend and will use in the future. Thank you for a terrific job! Excellent job from start to finish. A custom job for a custom house. All aspects of the job were completed professionally and in a timely manner. The paint and stain finishes were truly deserving of an A+. Eric came to our rescue! Gave an honest estimate and timeframe and delivered an excellent job under cost and time. Dependable, professional, and respectful! Very nice lines and was clean throughout the day. I finally found a "professional" that I trust. Painted the exterior of our home. Excellent finished product. Did all the prep work, kept a clean work area, cleaned up at the end of each day and put an excellent paint coating. Will use him again. I needed someone to finish up the paint job I had already started in my house and Eric came to help. I did not have the ladder needed to get up into my lofted ceiling. Eric took care of it (on stairs nun the less).We were very happy with the job and with Eric. Very professional and easy to get along with. He even went out of his way to patch some holes in the walls that the previous owner had cut in them. On the last day he knew how bad I needed the job done, went to another job and came back at 630 and stayed until 8 to make sure everything was finished. Very pleased with the work and will be calling them again for any of my painting needs. Once again thank you Eric for all that you have done. We had Eric come out and paint our house and they did a awesome job! They took there time, polite and on time everyday and always cleaned up after themselves....Very happy! Will have them come back when needed. Aurora Painters painted the interior of my condo and did an amazing job. The high quality of the paint and their turn around time was phenomenal. I would highly recommend Aurora Painters for any of my projects.